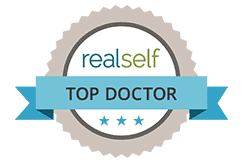 In the previous article, we looked at some of the most common mistakes that we make, almost every day, which leads to hair loss. These ranged from not washing hair enough number of times in a week to using very hot water to wash hair. 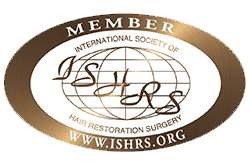 In this article we will continue to look at some other practices that we follow regularly and can actually cause more damage to our hair than benefit. When there is loss of hair, people start looking at methods by which they can cover the hair loss up. 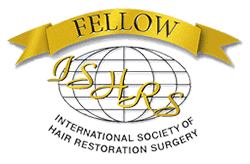 If the hair loss is too severe, they might consider a transplant or restoration procedure. However, when the hair loss is mild, many people opt to simply wear some hair extensions. 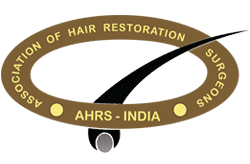 What many people do not realise is that while hair extensions might make you look good, they will lead to further hair loss. Extensions are actually glued to the scalp and many a times, they get torn away. If you really want hair extensions, it would be best that you go for the clip on ones. You might be very particular about oiling, washing and conditioning your hair on a regular basis. However, if you do not get your hair trimmed regularly, you are asking for trouble. Over time, hair tends to develop split ends and these need to be removed, in order for hair to grow properly. We live in a world where there are plenty of hair care products to entice and spoil us these days. Some of those hair products include those which are meant for as long stay. However, when a product claims to be ‘long stay’, it will actually create more trouble for your tresses. These products will make the hair more brittle and drier, leading to breakage. If you truly love your hair, you might want to opt for styling products that leave your hair softer or leave them moisturised, such as styling creams or serums. Then there are also some medications, which are known to lead to hair loss. These could include medicines such as anti-anxiety agents, anti-depressants, anti-hypertensive and thyroid replacement drugs. In addition, certain brands of oral birth control pills can also lead to hair loss. Many a times, when a woman stops taking these drugs, there is even more hair loss. Make sure that you talk to a doctor before you start taking any such medications and if there is a chance of hair loss, you might want to ask for a replacement. Sometimes something as simple as ignoring an itchy scalp could lead to aggravated hair loss. When the scalp becomes itchy, there could be plenty of explanations for the same, which could range from dandruff to seborrheic dermatitis. And once the cuticle has been damaged, the fibre will certainly break off. Now let’s say, you do have dandruff, it is best that you not use the over the counter or super store purchased dandruff shampoos on a regular basis, because they are known to dry the scalp off. It would be better that you talk to your doctor, who will be able to prescribe a more effective shampoo or medication to tackle your dandruff. As a matter of fact, even if you are not struggling with dandruff, it would be a good idea to keep changing your shampoo on a regular basis. This ensures that your scalp and hair does not become immune to the shampoo and is cleansed thoroughly each time. In addition, this is also a great way to ascertain that there is no severe damage from particular chemicals. While you might love the new burgundy coloured hair of yours, but it would be wise to let the colour run its course, before you apply the new layer. Your hair needs time to breathe and be in its natural state, every once in a while, or you can be sure that your hair will fall out. In addition, it is just as important that you not get multiple hair treatments at the same time. So, if you are getting your hair coloured, then leave the straightening, for another time. Multiple treatments in one go, means those many chemicals, heat and other tortures, and these will all leave the hair weakened and the follicles damaged. 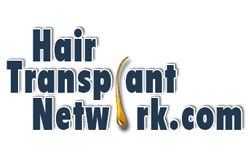 There would be many people who would think that natural and homemade hair packs would not lead to any serious problems, but the fact is far from it. Too much of anything is potentially dangerous, including hair packs. The hair serum you are thinking of picking up might be from a reputed brand, but there is no guarantee that it will work well with your hair. This is why, it would be best that you talk to your doctor to ensure that this particular serum will suit your hair. While it is important that you treat wet hair with gentle hands, it is all the more important that you not tie up wet hair. Many people have a tendency to tie up their wet hair in a loose knot, but this will actually lead to bigger problems. When hair does not dry up properly, there is always scope for infections, which will eventually lead to hair loss. When you wash your hair, make sure you use a soft or cotton towel to wipe your hair clean and ensure that excess water has been removed. Then, you can use a wide toothed comb to gently comb your hair. If you are losing hair because you recently brought your bundle of joy into the world, you have nothing to worry about. Losing hair after pregnancy or even during the period is normal and natural. The hair that you lose during this time will grow back in the next few months.